Are you passionate about football? Check out this amazing opportunity for football players in Shanghai! 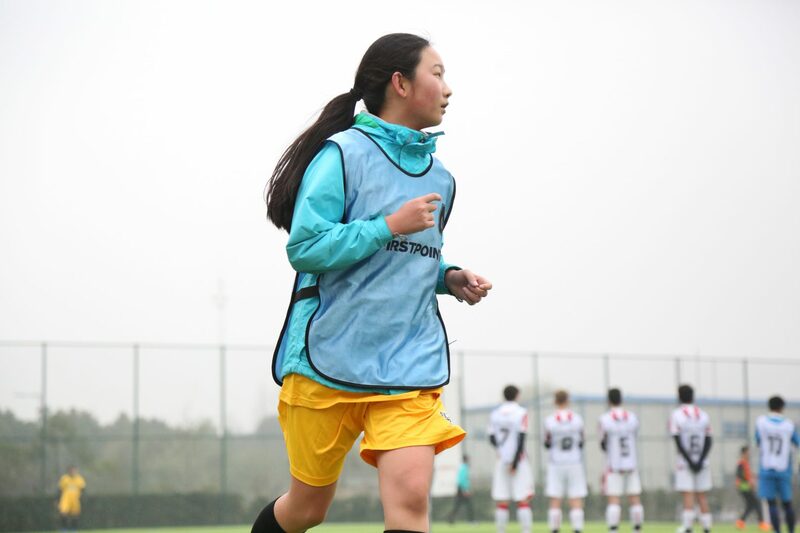 Last month, in partnership with FirstPoint USA, the Western International School of Shanghai and Stoke City FC Academy at WISS hosted a scouting event for football players all over Shanghai. This was the first event held FirstPoint USA held in China. We were honored to host and look forward to many more in the future. This event gave football players between 15-18 years of age the opportunity to get involved with FirstPoint USA and show their talent on the pitch. The aim of this Soccer Trial Event was to recruit talented players who are interested in participating in the US Collegiate Sport System as a student-athlete and help them obtain scholarships offered by US colleges for university studies. Teams from different schools around Shanghai were invited to spend the day together with talent scouts from FirstPoint USA. 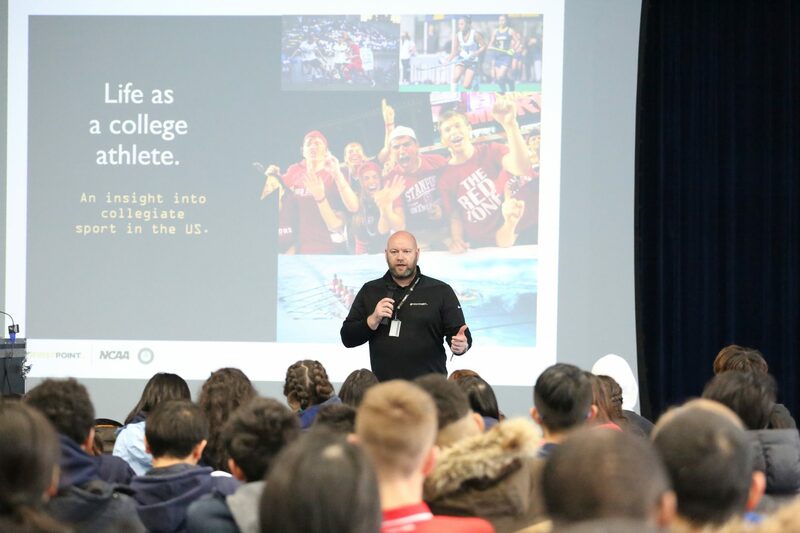 Andrew Kean, the Founder and Chief Executive of FirstPoint USA, started the day with a great presentation giving attendees information about the organization, what it’s like to be a college student-athlete in the US and how players can obtain scholarships. FirstPoint USA was developed in 2001 with assistance from the Prince’s Trust to assist 15 –21-year-old sportsmen and women with their placement at American colleges and universities. During this time, they have secured over $200 million in scholarships for approximately 10,000 athletes. The company has been recognized as one of the first NCAA-certified agency since 2012 and they employ a team of 60 full-time staff who work from their London, Manchester, Glasgow, and Shanghai offices. In any given year, FirstPoint USA receives up to 40,000 applications from athletes around the world. Former FirstPoint student-athletes include Leister City-Jamie Vardy, Manchester City-Jack Harrison, Real Madrid-Santiago Solari, 2016 Masters Champion-Danny Willett, and HSBC Shanghai Masters Champion-Russell Knox. 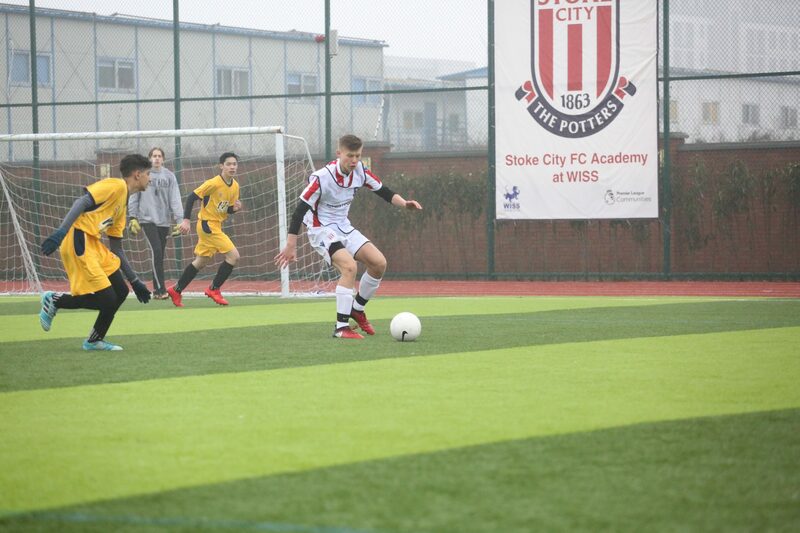 After the presentation, all the players took to the Stoke City FC Academy Field to do what they really love to do: play football. Talent scouts from FirstPoint USA prepared different training exercises to drill movements and shots and led some warm-up activities to prepare them to play in the tournament later. At the same time, the expert coaches were observing and recording each player’s ability level. The main event consisted of 15-minute matches between the teams which came from different schools. Both male and female matches were extremely exciting and showed a lot of passion and dedication from every single player. All players tried their best on the pitch and went out despite the weather. The rain didn’t dampen the high level of competition shown on the pitch! Specialized rehabilitation doctors from DeltaHealth and RainbowFish Rehabilitation also joined this event to offer support treating any injuries that players had after the intense matches. 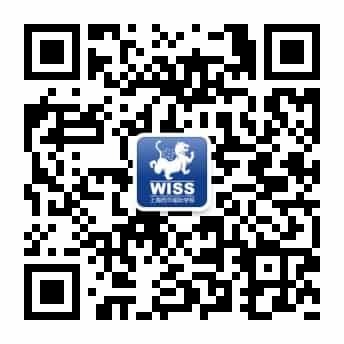 WISS is the only full continuum IB World School in mainland China offering the four programmes of the International Baccalaureate (IB): the Primary Years Programme (IBPYP), the Middle Years Programme (IBMYP), the Diploma Programme (IBDP) and the Career-related Programme (IBCP). Through the CP core, students develop personal qualities and professional skills, as well as intellectual habits required for lifelong learning. The CP core bridges the IB academic courses and the career-related study and provides students with a combination of academic and practical skills. At WISS, we offer a sports pathway in our CP Programme to provide a broad educational base for further training and education within the sports sector to prepare students to become professionals in the field of sports.